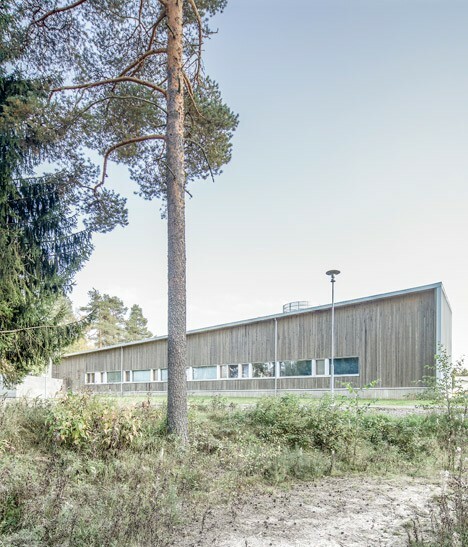 Slim batons of timber clad the facade of this health-related clinic by Alt Arkkitehdit, which is set on the edge of a Finnish forest. 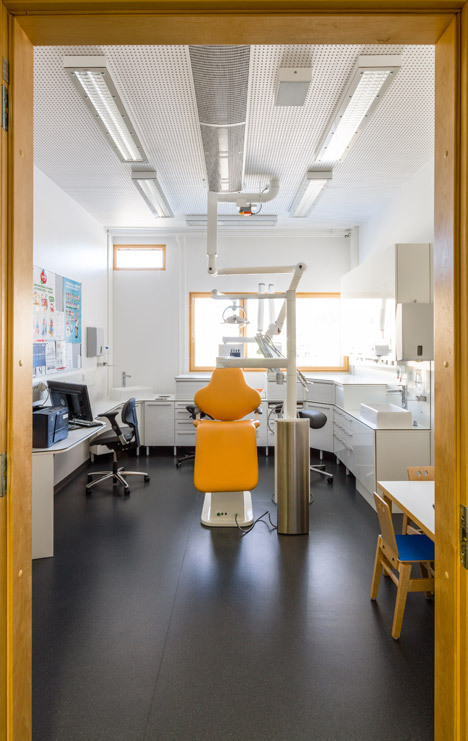 Offering dental, paediatric and basic healthcare providers, the public clinic is situated beside existing healthcare wings – including a care centre for elderly individuals – in Ruukki, a locality in the Northern Ostrobothnia region of Finland. 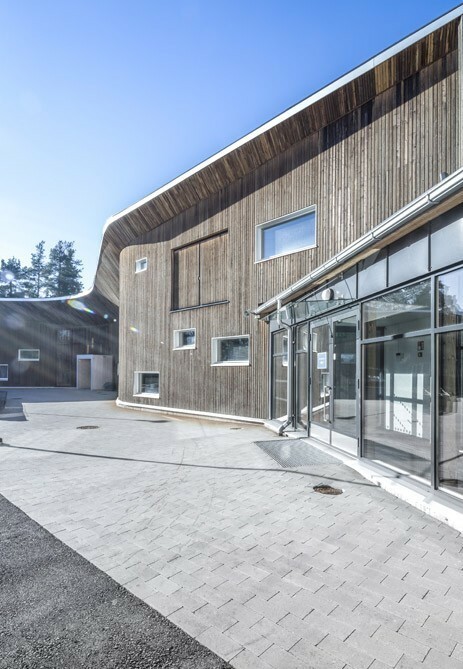 The Ruukki Health Clinic is surrounded by a pine forest. 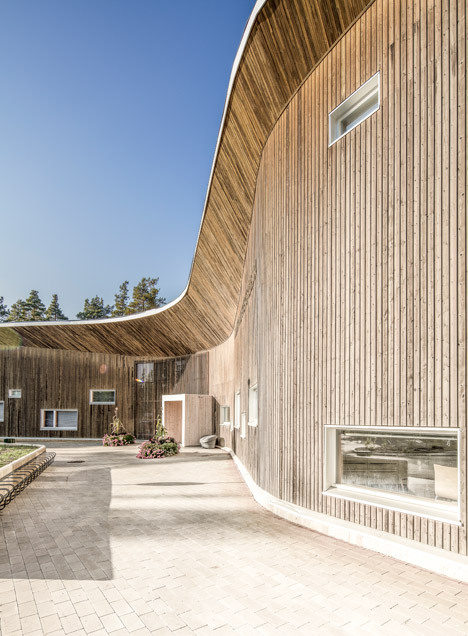 As an acknowledgement to this setting, Alt Arkkitehdit chose to clad the facade in wood, using slender strips of larch that typically turns grey as it ages. The creating has two straight facades and one particular concave, making a curved L-shaped program. The timber facade – which matches the height of an adjoining block – juts out as it approaches the roof on this concave side, creating an overhanging lip that aids to shelter the glazed entrances to the centre. 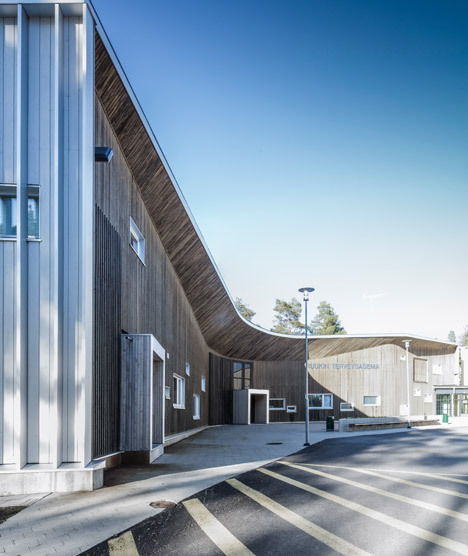 “Ample eaves defend the cladding from climate and connect the embracing, free-kind wall to the older buildings with its stern but polite profile,” explained Alt Arkkitehdit. 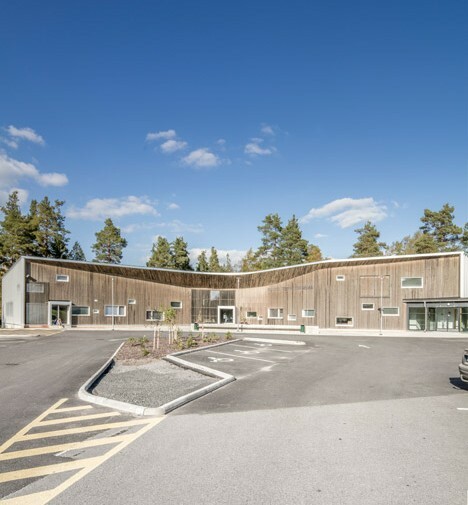 “Other facades are stylishly nonchalant and functional with ribbon windows supplying therapeutic forestscapes to the interior, alongside organic light,” the architects added. 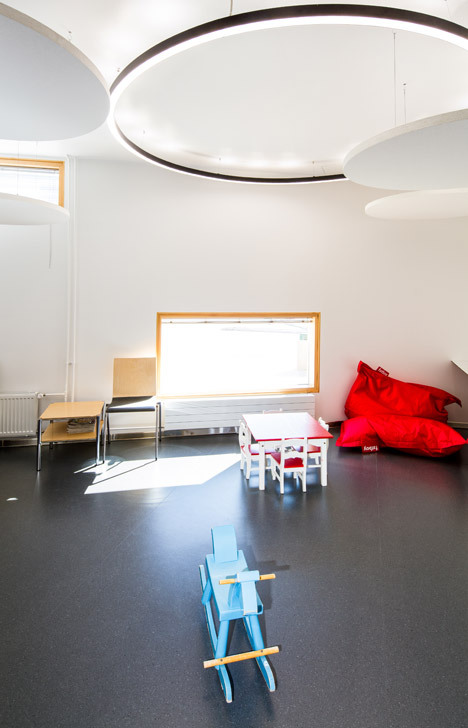 A waiting space is situated in this hollow and is intersected on one side by a corridor that leads to treatment method rooms in each instructions. 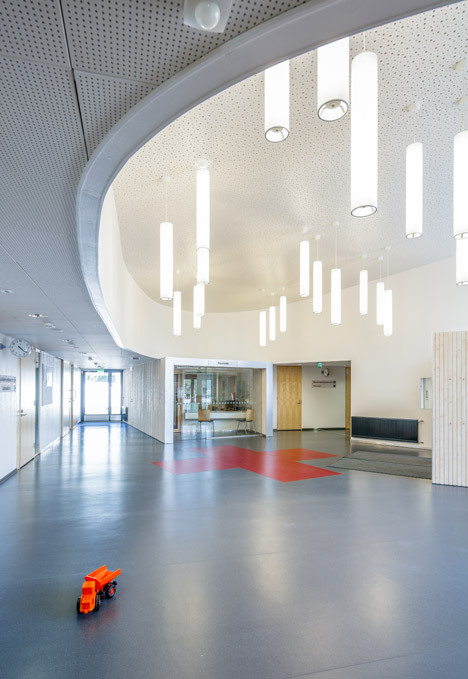 At the finish of a single corridor, a glazed passage connects to the neighbouring medical wing. “The practical scheme is based around a simple thought of puffing out the centre of a rational L-type, which tends to make it achievable to group dental care, healthcare, and child healthcare as distinct – but connected – units around the central lobby at the core of the developing,” said the architects. 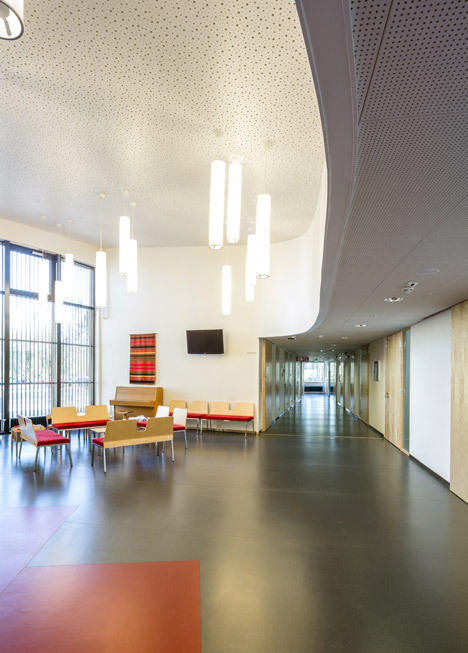 Tubular pendant lights hang from the perforated white ceiling over the waiting location, whilst a massive red cross decorates the grey floor among the entrance and reception desk. “Opening the shape of the corridors in the direction of the central core lessens negative institutional connotations and eases the orientation by opening up views from the lobby towards the appointment rooms,” mentioned the studio. 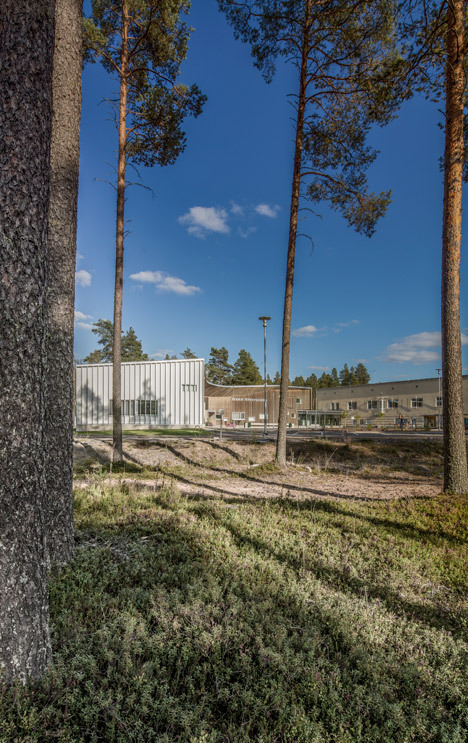 Common clinical spaces are lined up along the two straight facades of the constructing that characteristic long strip windows, even though two separate pods for dental and children’s heathcare are set on either side of the waiting area. 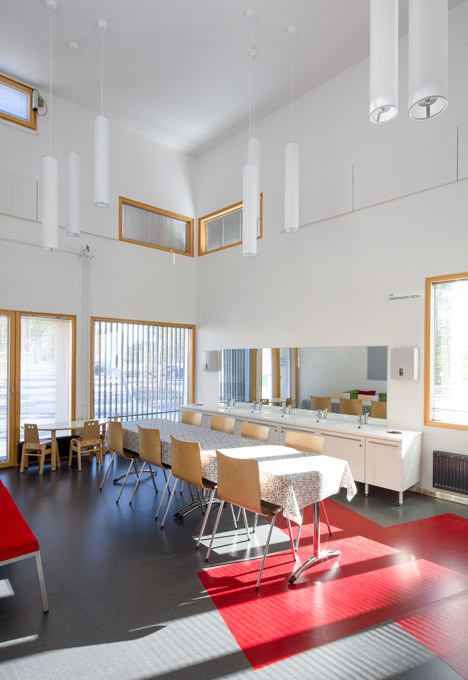 Irregularly placed windows carry light into these rooms. Photography is by Ville-Pekka Ikola of Alt Arkkitehdit. Collaborators: Alt Architects and Architectural workplace Karsikas Ltd.